This vessel is in top running condition. 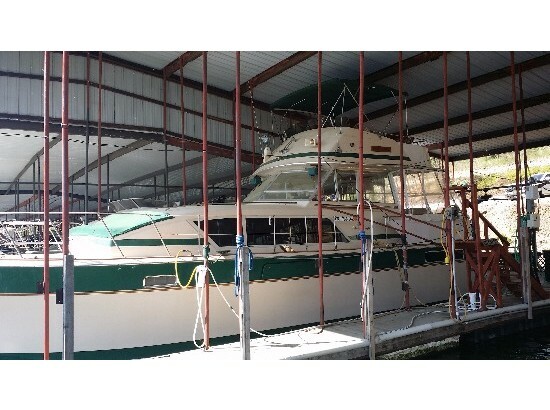 The owner, a marine mechanic, says the motors are running at 500%. 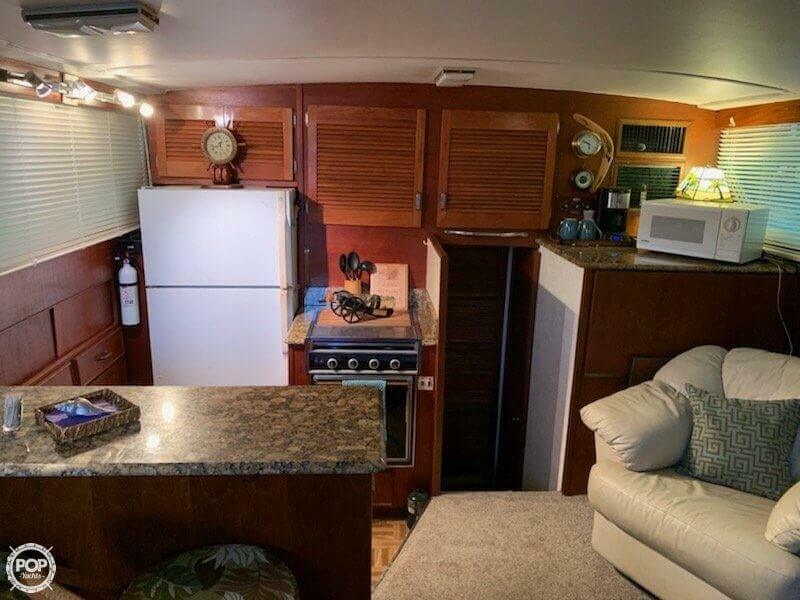 Down below the boat is in fine condition, with original Chis-Craft fixtures and cabinetry. The bulkheads and walls down below have all been refurbished, the carpet is in great condition and interior woodwork has bee redone. GREAT sound system with 100 amp power booster and Cerwin Vega speakers. 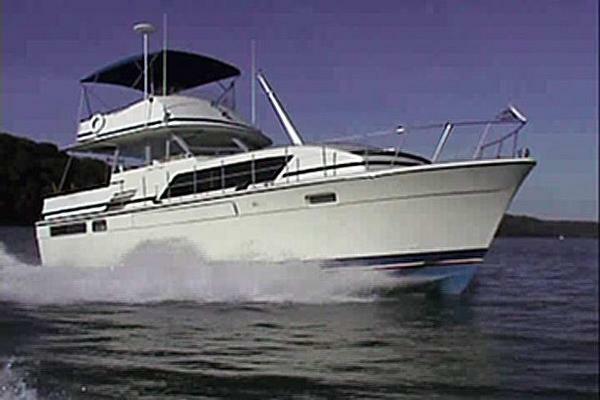 Owner cruised her constantly at 1700 RPM. 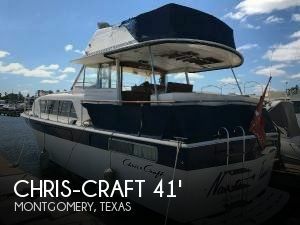 This Chris-Craft is a great chance for someone handy looking for a great running yacht at a great price. 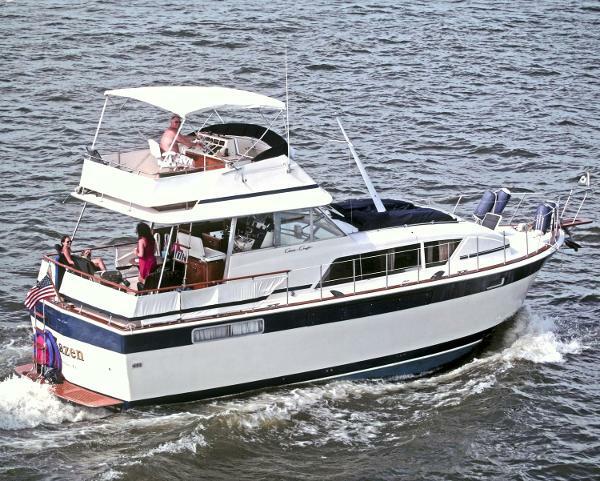 Down below, she will be easy to make into your dream boat with plenty of opportunity for you to make her what you want. The exterior needs TLC, but nothing that can't be fixed with elbow grease, rubbing compound and wax. 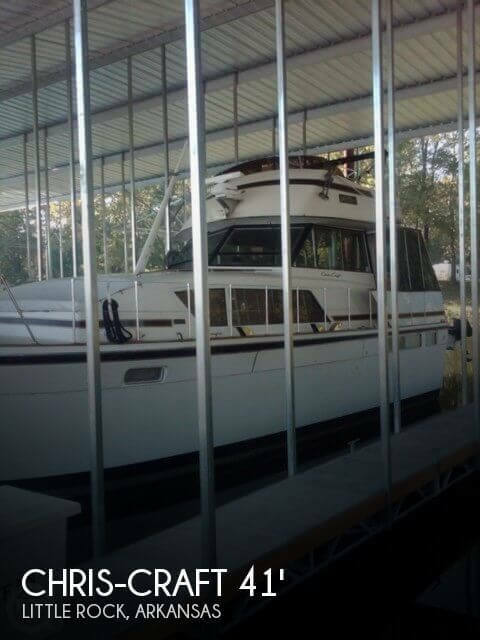 The aft toe-rails have to be re-bedded and there is leakage on the starboard side that has led to leakage into the aft cabin that can be repaired with commercially available products. 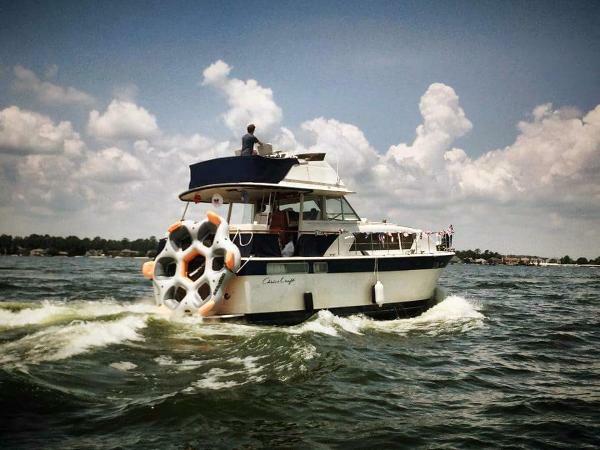 This is the best kind of "project boat". The mechanics are sound and tuned and ready and her bones are solid. 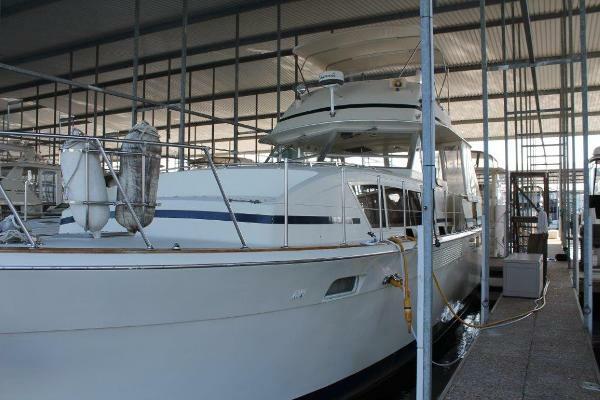 With a little effort you can get this beauty up to your standards and she is ready to go - when you are. 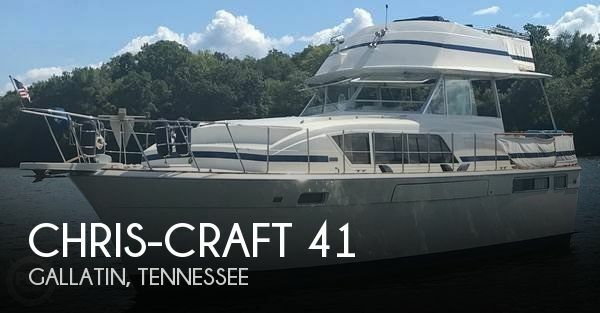 Stock #100209 Classic 1974 Chris- Craft 410 Commander If you are in the market for a motoryacht, look no further than this 1974 Chris-Craft 410 Commander, just reduced to $25,900 (offers encouraged). 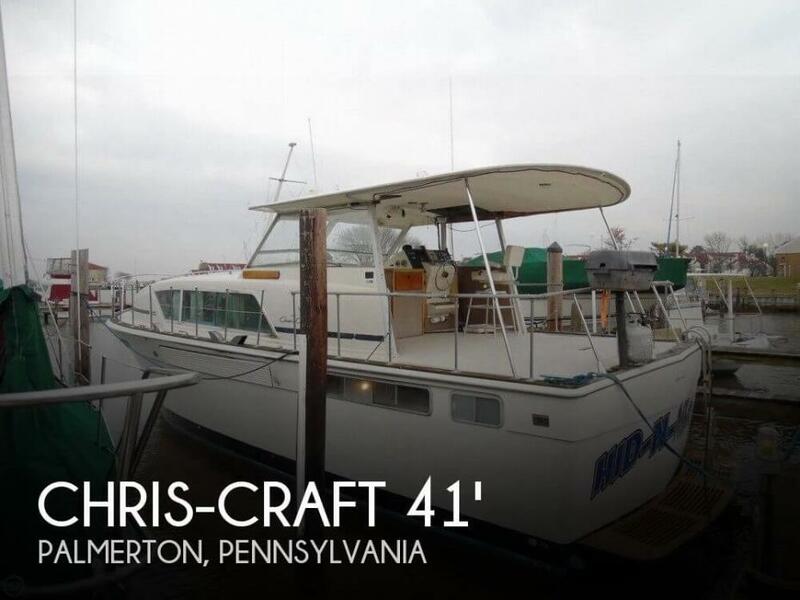 This vessel is located in Palmerton, Pennsylvania and is in decent condition. 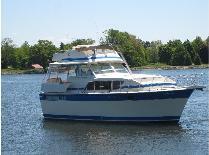 She is also equipped with twin Chris-Craft engines that have 2,100 hours. 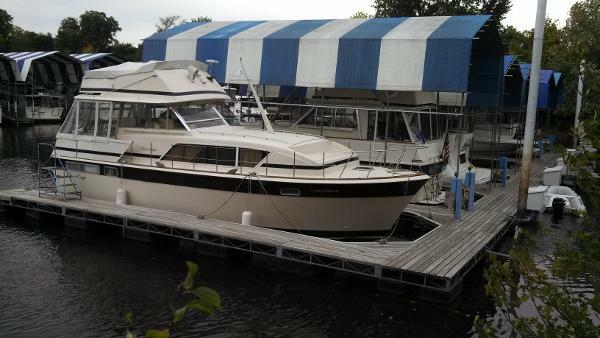 Reason for selling is new boat. 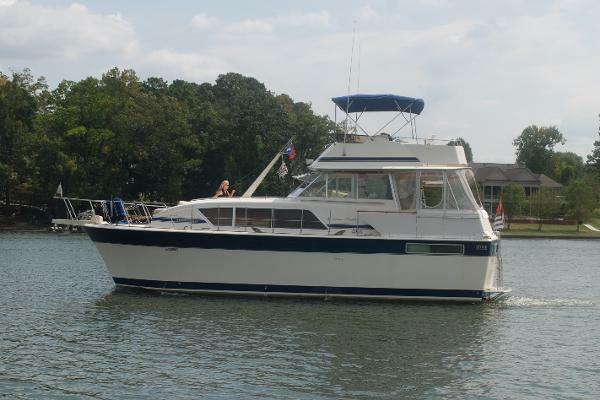 1978 Chris-Craft 410 Commander 1978 Chris-Craft 410 Commander in Excellent Condition. 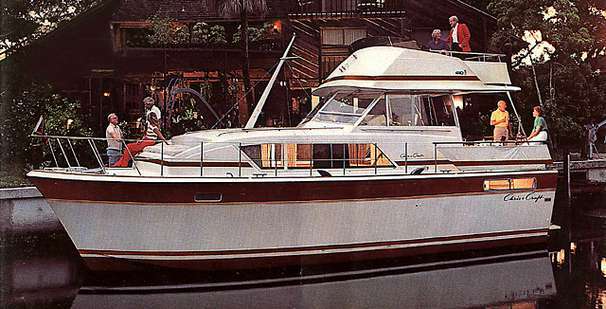 Surveyed in 2012 with a final comment from Surveyor reporting this 410 to be in the Top 1% of 410 Commanders available today. New teak floors in 2010, Instrument Dash redesigned in 2010, New Enclosures, Custom Bridge Carpet, Bridge Cushions, Always kept in fresh wax.